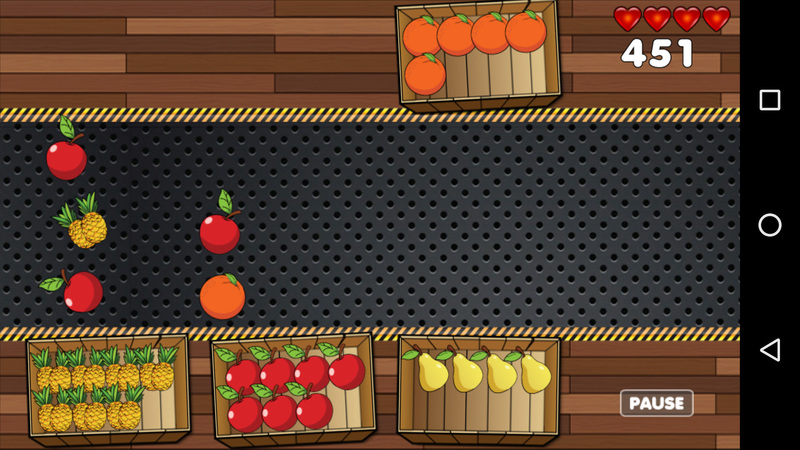 Fruit Sorting is very addictive and time consuming game for Android. It’s endless game where your task is to sort fruits from belt into boxes. 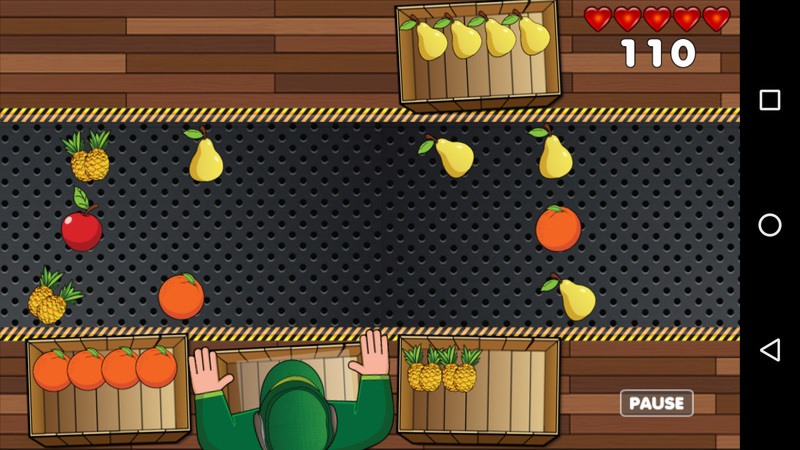 Swipe your finger over screen to catch same kind fruits and put them into boxes. Time is running so you must be really good so fruits don’t fall out of belt. Compete with other peoples and get best score via Google Play Games Leaderboards and Achievements. More time you spend – more fruits you unlock. Normal: You get only 4 boxes and 4 kind of fruits. More time you play – belt is moving faster Time attack: You have time limit to fill box. Time is running. Prograssive: At beggining you have only 2 kind of fruits to sort. 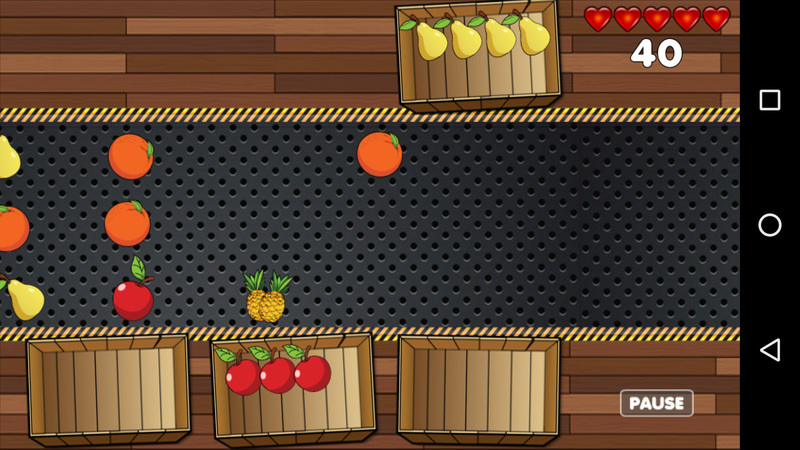 After some time there will be more fruits on belt up to 6 kind Using this source code you can create lots of games for example: vegetable sorter, christmas presents sorter, logo sorter and many many more…. it only depends of your creativity. Game made using Eclipse IDE and AndEngine game engine. Very simple to reskin. Just replace original files with your files with same resolution and pattern. Game includes Google Play Game Services for Achievements and Leaderboards.